Table height 460mm. Seat height 260mm. 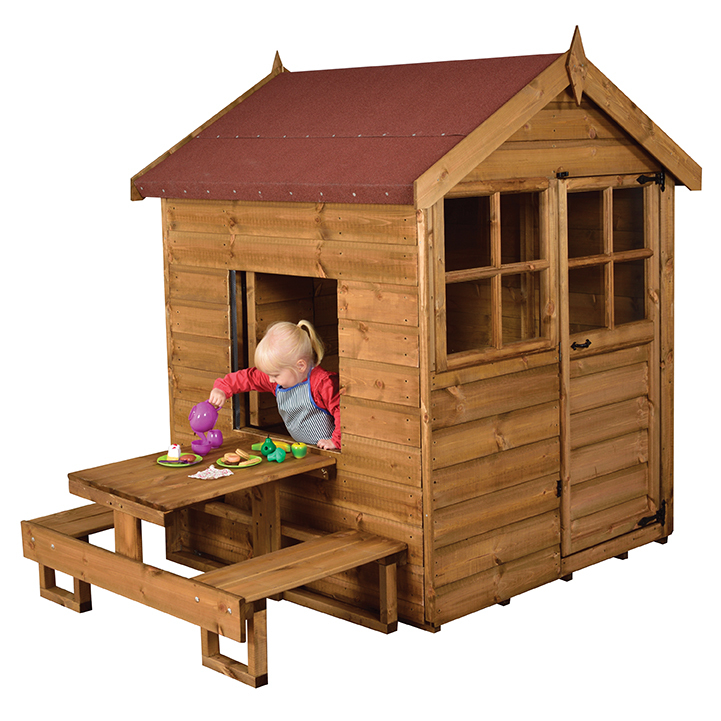 (FSC and ideal for outdoor use – treated). Playhouses supplied with a base coat treatment. As with all timber buildings it is recommended that you treat the timber with a quality wood preservative at least every 2 years.